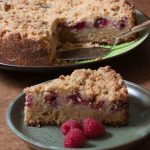 Raspberries and hazelnuts are a flavour match made in heaven and this Raspberry and Hazelnut Crumble Cake is divine. 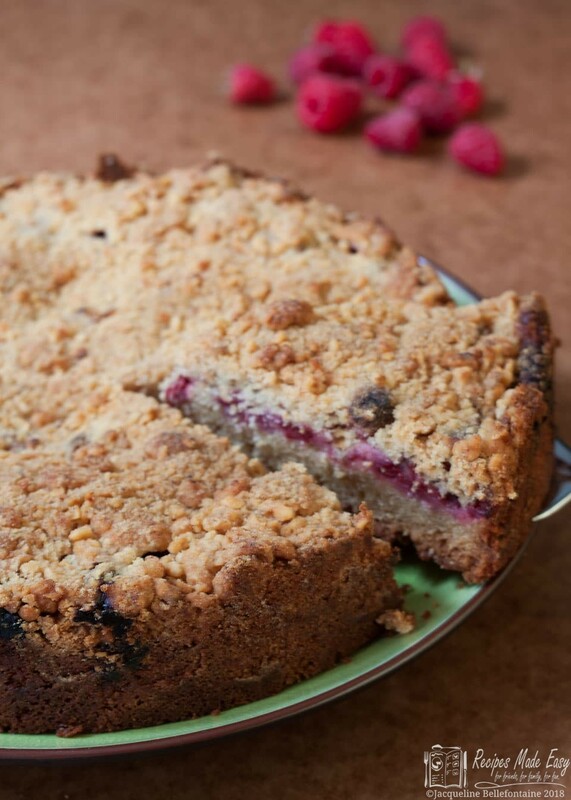 A dense nutty cake base with a layer of fresh raspberries, topped with a nutty crumble mix. The inspiration for this cake came about while I was making a Gooseberry Crumble cake for a meeting of the Borough Market cookbook club of which I am a member. 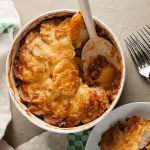 An evening at the cookbook club is a near perfect night out for anyone who loves food and cooking. We all cook from a particular book and then we get to taste the dishes and talk about the book. You can read my post about cooking from Ottolenghi’s Jerusalem cookbook for the club here. The only downside to the club is that it has become so popular that it is very hard to get a place as numbers are limited, this one had a waiting list of 85 people and there are just 15 places. As a result it is the first one I have attended this year but I was particularly happy to attend this one for two reasons. Firstly it was the first cookbook club to take place at the market since the horrendous terrorist attack that took place there just a few weeks ago. It was good to be taking an active part in the amazing community which I am lucky enough to live in, as it starts to return to the normal fun loving great place that it is. A kind of reclaiming. Secondly because we were doing Nigel Slater’s The Food Diaries and Nigel Slater is my number one food Hero! I love his cooking and I love his writing style. I also met him once and can confirm that he is a really nice chap, but that is by the bye. Unusually for this cookbook club meet we had not one but three books to choose something to cook from. That’s because these books are not your usual cookbooks they are diaries. As such, despite being quite hefty books, there are not as many recipes in each as you might expect. Many diary entries are about the food he has eaten rather than a recipe. 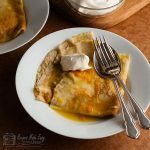 They are a great read even if you don’t cook, but who can resist getting into the kitchen when he makes good food, sound so tasty and so easy to prepare. 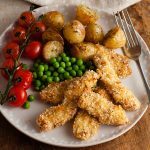 Naturally most members chose recipes from the summer months as these diaries are all about eating what is in season and at its best on any given day of the year. So on the night we tucked into some fabulous dishes from various salads, an amazing blue cheese and asparagus tart, and from chicken with haricot bean to cured salmon. For dessert it was a case of let them eat cake; there were three (and some marinated fresh strawberries). Naturally in keeping with the fresh food ethos I wanted to cook something seasonal. I have a mini city allotment, where I grow soft fruit, so I choose to make his Gooseberry Crumble cake from vol 2 of the food diaries. It’s my 3rd summer on my allotment plot and this year it has really has started to bear fruit, quite literally, and a lots of it! I have chosen to grow predominantly soft fruit because I get to choose the varieties and buying soft fruit can be so expensive in the supermarkets. It also has the advantage of being relatively low maintenance most for the year. But not just now. On the morning of the cookbook club I went down to pick the gooseberries. As well as picking about 1 kg (2¼lb) of gooseberries, a prickly and at times a bit painful experience. (I think you have to really like gooseberries to be prepared to harvest them). I also harvested about 1 kg (2¼lb) of raspberries, a few stems of red currants and some white currants. There are plenty more to come so you can expect a glut of soft fruit recipes from me over the next few weeks. Last week I harvested most of my black currants so I shall be posting the recipes I made with those next. 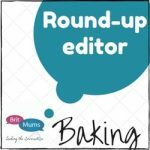 Which brings me round to my recipe for raspberry and hazelnut crumble cake. The Gooseberry Crumble cake which inspired consisted of an almond flavoured cake a layer of gooseberries and crumble on the top. Given that I had also picked raspberries, I thought it would be nice to make another cake to use some of them. Mr B and the boys would be happy, they miss out on anything I make for the cookbook club. 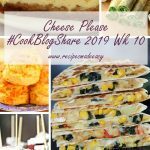 Rather than follow the recipe for the cake again, I decided to make a few more changes –Cookbook club is probably the only time I follow a recipe to the letter! Instead of ground almonds, I decided to use hazelnuts instead, as I think they go so well with raspberries. As ground hazelnuts are not readily available, I simply blitzed some blanched hazelnuts in a food processor with the flour before beginning. Nigel’s recipe only adds a couple of tablespoons of sugar to the crumble topping and while I like this cake because it is not overly sweet, I felt a little more would not go amiss, so doubled it. Finally I added some chopped toasted hazelnuts to the crumble topping for some extra crunch. Both times I followed his tip for adding a sprinkling of water to the crumble mix so that it forms a few different sized clumps. It was new to me and it works a treat. 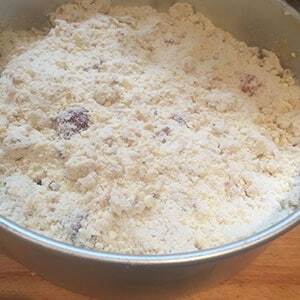 I will definitely do that again when making crumble but you do have to be careful not to add too much or you could end up with pastry rather than crumble. While the gooseberry crumble cake was delicious and was a great hit at the club. I have to say I think this one is even better. Then again I took a good recipe and gave it a few tweaks to suit my taste so may be that’s not surprising. I hope you like it too. 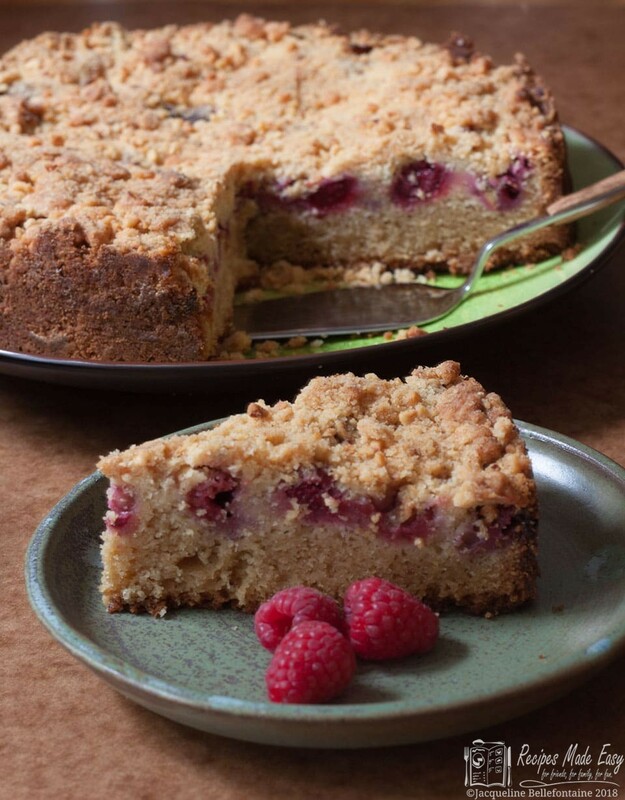 A delicious nutty cake topped with fresh raspberries and a nutty crumble. To make the cake, preheat the oven to 180℃ (170℃ fan)/350°F/gas mark 4. Line the base of a 23cm/9in cake tin with baking parchment and lightly grease. Place the self raising flour and hazelnuts in a food processor and blitz until the hazelnuts are very finely chopped. Beat the butter and sugar together until very pale and fluffy. Lightly beat the eggs and gradually beat them into the mixture, beating well after each addition. Beat in the vanilla extract. Scatter the raspberries over the top of the cake. 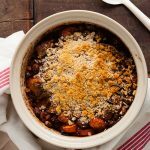 To make the crumble topping, blitz the plain flour and butter in a food processor until the mixture resembles coarse breadcrumbs. Add the sugar and nuts and blitz very briefly to mix. Remove the blade and sprinkle in a little cold water (about 1tbsp) , run a dinner knife through the mixture so that some of the crumbs stick together. Scatter the crumble mixture over the raspberries and bake for about 1 hour until done, testing with a skewer which will come out clean when inserted into the centre of the cake when it is cooked. Allow the cake to cool in the pan for about 10 minutes before transfer to a wire rack to cool. Beat the butter and sugar together until very pale and fluffy. Scatter the raspberries in a layer over the cake. Are you a Nigel Slater fan? If so I would love to know which of his recipes is your favourite. Drop me a line and let me know. 🙂 I know cake and crumble what more could you want! 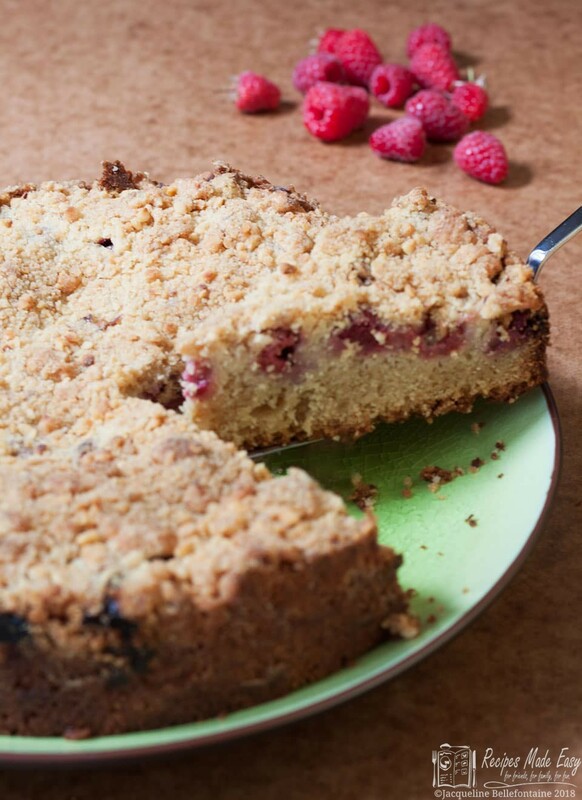 I absolutely love the sound of this Jacqui – fresh raspberries, crumble, cake, nuts! 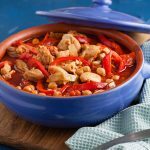 Sounds like bliss on a plate, pinning because I’ll definitely be trying it out 😀 (& a great tip about a little sprinkle of water – something I’ve never tried either). It’s so great to hear the borough market is starting to get back to normality after that horrendous evening, so I can but imagine how happy you felt to be part of that particular Cookbook gathering. Thank you Angela, yes it is great that Borough Market is back on its feet,. There is still a lot of healing to be done but it is the most fabulous community and very supportive, I am very proud to be a part of it. Its lovely having so many berries, it becomes a case of what shall I make now!